Dealing with business debt problems is one of the biggest skills a manager or leader can have. For small businesses, there will be only one person handling finance, so debt problems are a big deal. A business may have to shut down if they are not able to handle the burden of debt. It is not possible for a business to operate wholly without any debt. There is an optimum amount of debt that a business will need to have to be able to grow. There is, however, a time and a given amount above which, it can be dangerous. Not finding this balance is what causes over 50% of all new businesses to fail within the first 5 years according to the SBA. When your business is facing debt problems, here are three options that you need to consider. Cut costs at every opportunity. Reduce overheads and running costs as much as possible. You may have to let a few people go, change the premises and take pay cuts, if needed. Never fail to inform or keep your creditors aware of your predicament. You are not going to fall into cash problems overnight, if you do, keep them informed right away. Speak about a way to lower interests, or rework your repayment schedule. If you are unable to meet your debts and your business is not looking up, file a chapter 11. You can save the business by freezing it on a temporary basis. Sometimes, you just have to let the business fail and recover losses. Remember that debt is only a positive aspect if the tactic pays off in the long term. There is no point in going in for a long term, debt based business. 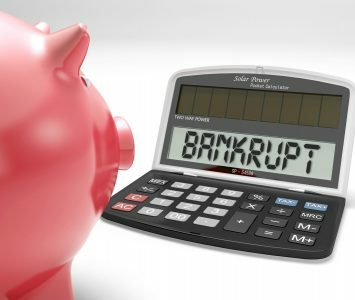 You need to focus on keeping debt under control at all times, especially when Houston bankruptcy is not an option.